2. 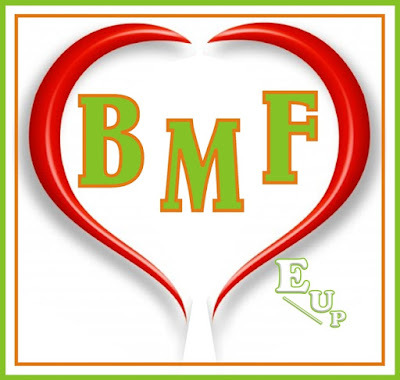 Opetope, an ardent BMF blog reader will be formally introduced to the Fashina’s family. He is getting married to BMF’s sister. No bi small thing o. So you know what? It is happening in the Fashina’s arena today. Family and friends of BMF and the Fashina’s at large will gather to celebrate, have fun and relax, you don’t want to miss it. I already got hints of what it is going to be like, it is better experienced than heard. I use this opportunity to congratulate BMF and the entire family on all the celebrations for this weekend… I know, it’s been God and may God continue to be for you. Meeehn, I can’t wait to be at the venue (Somewhere in Ajah, Lagos Nigeria)… I know I will be meeting many of my favourite bloggers there too. Cheeei! Congrats darlin BMF. I cant be there cos of work things. hmmm, its well oo. that's how I would miss another party rice.... congratulations bmf n the Fashina family. Yes oo,turn up toh baddest! Congrats to Bmf and cheers to all bloggers out there who support each other..
Awww...congrats to BMF and her family. Enough party rice. Eehhnnnn...so this is what has been going on congrats BMF. Have You Done Your BVN?